What Is Wrong with Manchester United Manager Sir Alex Ferguson? I am not so much into football, especially in the recent 15 years, but I can write a football related piece if something gets my attention similarly to this article. I've been stumbling across numerous articles discussing Dimitar Berbatov's future in Manchester United for more than a year. They've been contradictory, confusing and often ridiculous. What is more preposterous though is that often Sir Alex Ferguson has contributed to the "chaos" surrounding Berbatov himself. 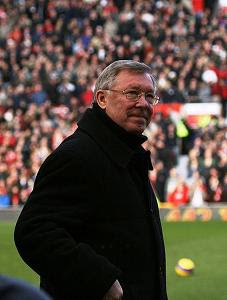 Today I read another couple of ridiculous statements claimed to be said by Alex Ferguson in regard to Dimitar Berbatov: "The boy has a future, but if he wants to leave it is a different matter." and "I am easy about it if he stays. I would be happy with that." These wouldn't be so shocking if they were said about a young 21-year-old player who had played 25 games with the team since the last summer. But this is not the case. But this is not all. "I would be happy if he stays" Alex Ferguson said. What could make him happy if Berbatov stays? I don't think there is any happiness in having a £30.75 million record deal footballer on your bench. I don't think there is happiness in losing another £10-15 millions for a year by keeping Dimitar in the team. The only "happy" thing coming to my mind is a move like that will show Manchester United is extremely wealthy club. Why's that? If Sir Alex Ferguson keeps Dimitar Berbatov in his team this will apparently costs him a lot of money. The club will lose about £5-10 millions if they do not sell him this summer because next year Manchester United won't get anything since the contract of Berbatov will expire. At the same time the club should pay Dimitar his huge salary and it will be about another £5 millions. If Ferguson uses Berbatov in 5 games during the next season this will result in a cost of a player per match equal to about £2-3 millions - probably another record, for the most expensive player per game. Of course, there is a theoretical possibility that Sir Alex Ferguson gives Dimitar Berbatov a lot of playing time during the first half of the next season, Dimitar shows some awesome football and his price goes higher during the winter. But this is just imagination. We are talking about reality here and in this reality, statements like the ones Ferguson makes are hard to be understood. I know there is always politics and nice talking. But in the case with Berbatov a lot of money are involved and the saga with him continues quite too long already. Talking like this is just annoying and laughable if not ludicrous. So what is wrong with Sir Alex? Why does Windows not support Blu-ray playback?